The male Impala stands around 90cms at the shoulder and weighs around 50kg while the female averages 80cms and weighs around 40kg. The Impala is on the “Hunt List” of just about every first time hunter to Africa. This graceful, medium sized antelope is a herd animal that frequents open woodlands, bushveld, and mopane scrub. Impala both browse and graze and will never stray far from water, requiring to drink at least daily. The ram has lyre shaped horns that make a fine trophy, the female has no horns. When hunting Impala beware of his keen sense of hearing and smell and his superb eyesight, which will make your stalk on this lovely antelope all the more challenging and pleasurable. Impala are active during the cooler parts of the day, early morning and late afternoon. When Impala are alarmed they tend to close up together, which tendency demands patience on the part of the hunter as he must wait for that “clear shot”. Rifle calibres of .243 right on up to the .30 calibres are fine for hunting Impala. 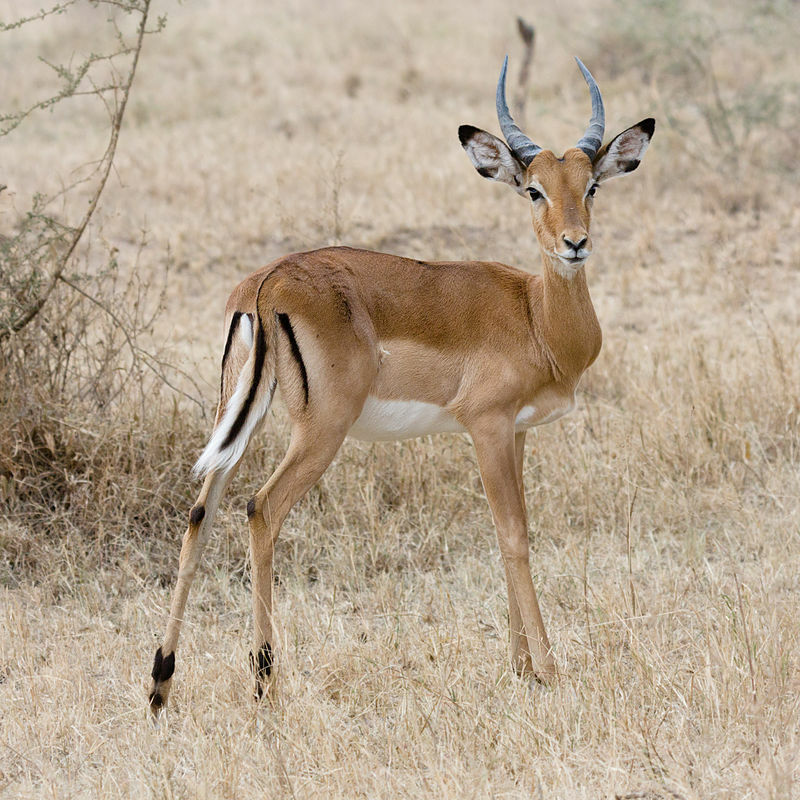 The Black-Faced Impala is easily identified by the black blaze on the nose and face and can be found mostly in the northern reaches of Namibia and Angola.